Home from our travels. 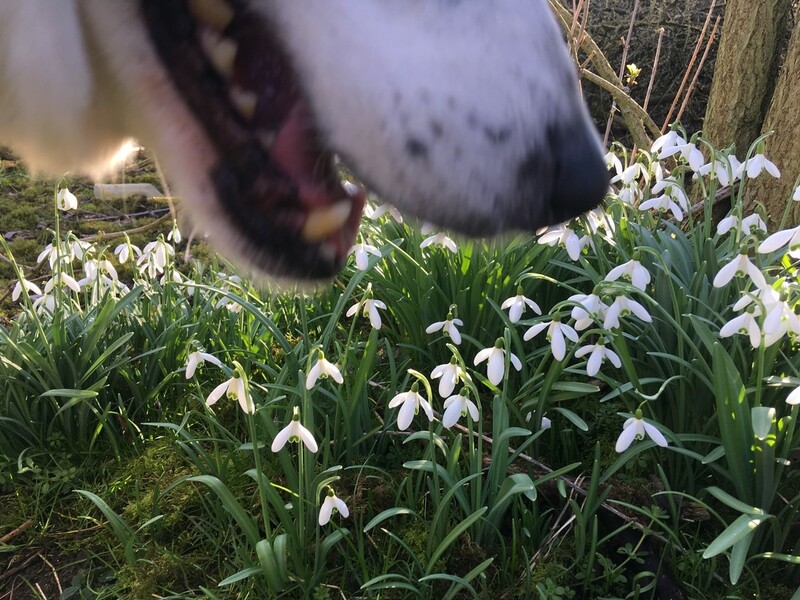 After long flights and a long day, it was lovely to walk with the dogs in the sunshine and see the first signs of Spring. Storm want to know what I'd found that was so interesting in the undergrowth here . . .